Contractors are professionals who operate via their own limited companies and are not employees for a larger firm or business. A limited company is a small business set up by an individual, where they provide their services on behalf of the company. *Key Point* limited companies are often known as Personal Service Companies, PSCs. Although a contractor may be working for a company, they are not under employment; rather they are working via an agreed contract for a certain period of time. This contract to contract way of working provides a number of benefits to contractors, but at the same time do pose certain disadvantages compared to an average employee. Despite common misconceptions, Contractors and Freelancers are not exactly the same thing; rather they are two different names for two similar professional fields. A freelancer is a professional who provides their specialties to a number of paying clients. With no permanent contracts or permanent client, freelancers are far more flexible than contractors and obviously employees. This being said, freelancers can earn significant amounts of money in their field. The main difference between contractors and freelancers is the actual ‘contract’ part of a contractor’s line of work. Whereas a freelancer will provide their services for a company and then perhaps move on, a contractor is bound by a contract and therefore is fixed in that position until the working agreement has been fulfilled. Contractors, being professionals working through their own limited companies do not fall under the same tax brackets of standard employees. Contractors may well work for a company, but are not technically employed, making them self-employed specialists who are engaged on relatively short contract bases. This means that these contractors are not affected by many of the benefits and downsides that come with being a permanent company employee. Contractors are not tied into a permanent role at a permanent company, and technically can work whenever they like (as long as they do not breach the contract and fulfil their duties) which is a bonus in today’s business society. Possibly the main perk that contractors benefit from however, as mentioned previously, is that they do not fall under the same tax bracket as employees, therefore pay far less tax. It is as a result of this that the IR35 legislation exists. IR35 is the HMRC’s way of making sure that these contract workers who are paying less tax than the employed working community are actually what they say they are (contractors) and not in fact employees posing as contractors to avoid paying more tax. This notion is called the ‘disguised employee’ and is what the entire IR35 is based on. *Key Point* Most contractors realise the potential downsides and possible dangers that come with being found within IR35, but many still do not completely understand the financial impacts and economic effects that falling within the legislation may incur. 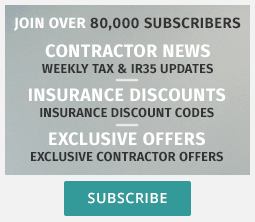 IR35 is certainly a term that all contractors try to avoid, and the entire point behind it is that contractors should not have to fall under the same tax boundaries as employees, and by keeping on top of their IR35 status, they can avoid huge financial losses. Contractors are business professionals working via their own limited companies, and as a result of this fact, require secure insurance. Because they work via a contract basis, contractors are not classed as employees, therefore are not covered by any larger company insurance umbrella, leaving them arguably vulnerable to financial insecurity. Contractor insurance is essential to self-employed individuals due to their professional position as one man companies leaving them financially liable to any mistakes, errors or absence. *Key Point* It may not seem that contractors are in professions full of risks, but contractors often have a lot of responsibility, and can incur huge financial losses due to negligence and accidental mistakes they make whilst at work. Being one man limited companies and not under any insurance umbrella that a full employee may be under, contractors are not paid for sick leave or accident cover, leaving them financially vulnerable in these cases. Basically, if a contractor has an accident, makes a mistake or causes a problem, they are on their own. There are numerous types of contractor insurances and tradesman insurances, and all of which serve a specific and effective purpose that is designed explicitly with contractors in mind. There are policies available which keep contractors covered for negligence, breach of duty, neglectful misrepresentation, sickness and also retrospective cover is available on certain policies covering work done in the past. The cost of defending claims far exceeds the cost of the insurance, thus providing value for money and also peace of mind for any contractor.